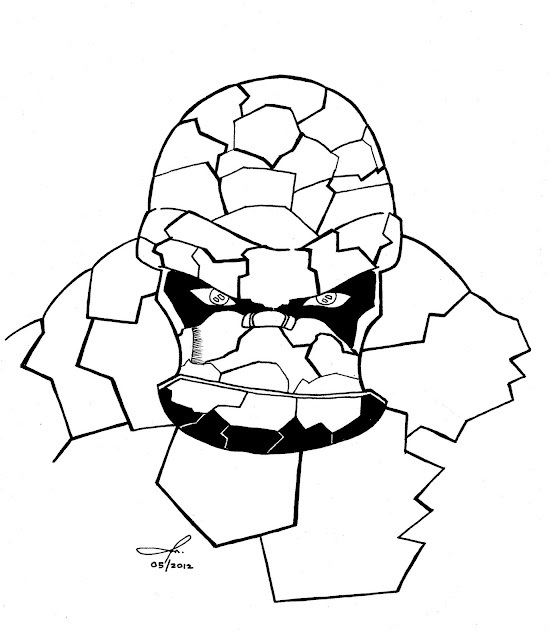 Benjamin J. Grimm was born on Yancy Street on Manhattan's Lower East Side, where he grew up in poverty. His father, an alcoholic, was unable to hold a job. Much of the family's income came from Grimm's older brother, Daniel, who obtained funds illegally as leader of the Yancy Street Gang. Grimm, who idolized his brother, became embittered against the world when Daniel was killed in a battle between rival gangs. Grimm was only eight years old at the time. Within ten years, he had succeeded his brother as leader of the Yancy Street Gang. After his parents died, Grimm was taken in by his Uncle Jake, who had risen from poverty to become a successful physician. At first, Grimm resisted his new guardians' kindness toward him. But eventually, he came to return their love. He left his life with the Yancy Street Gang behind, entered high school, and became a football star there. While he was a senior at Stuyvesant High School, Ben received a football scholarship to State University inHegeman, New York. On the football field, Ben received the nickname "Grimm Reaper."